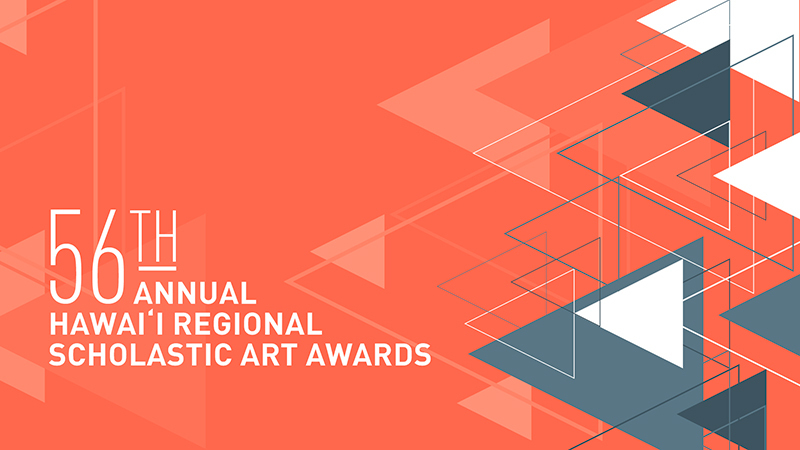 Come see award-winning artworks by Hawaiʻi students grades 7-12 at the Hawaiʻi State Art Museum, February 16 – April 18, 2019. 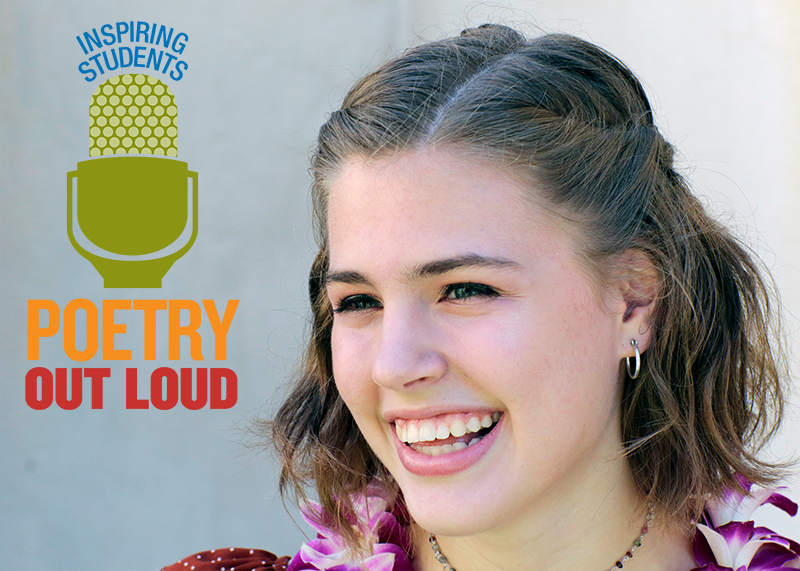 Congratulations to Maggie Odom, Hawaii’s Poetry Out Loud State Champion! Last year, the DOE’s video production team worked with SFCA staff on a series of short, informative videos about the SFCA’s Artists in the Schools program. The videos are now available online and will also be aired on the DOE’s television channel and will be promoted on the DOE website. 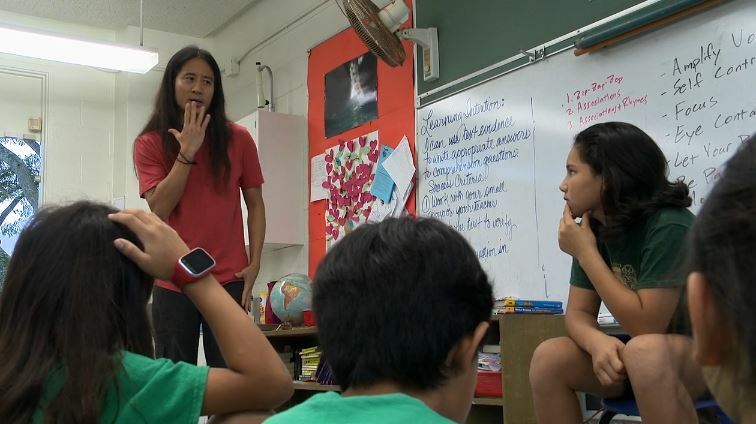 Learn more about how the SFCA's Artists in the Schools grants program benefits Hawaii's public school students! 3/17/2019 Kaimuki Public Library (Honolulu). 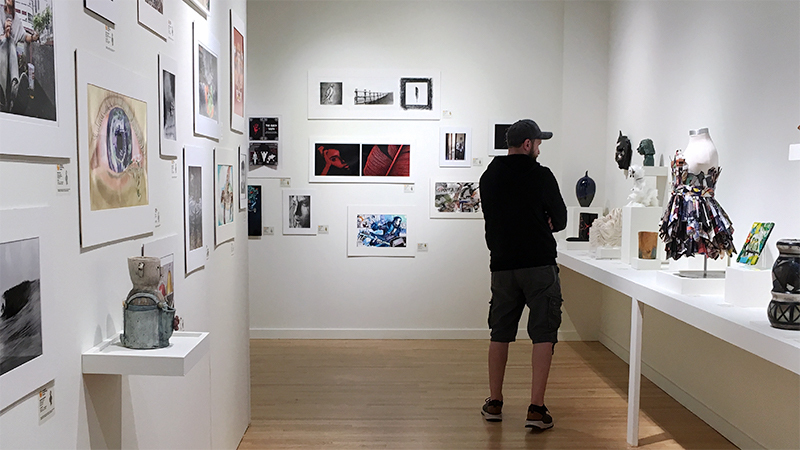 The Art Gallery at the University of Hawaiʻi-Mānoa Department of Art + Art History. OʻAHU - The Lilies How They Grow: Emily McIlroy, Honolulu Museum of Art at First Hawaiian Center, Honolulu. 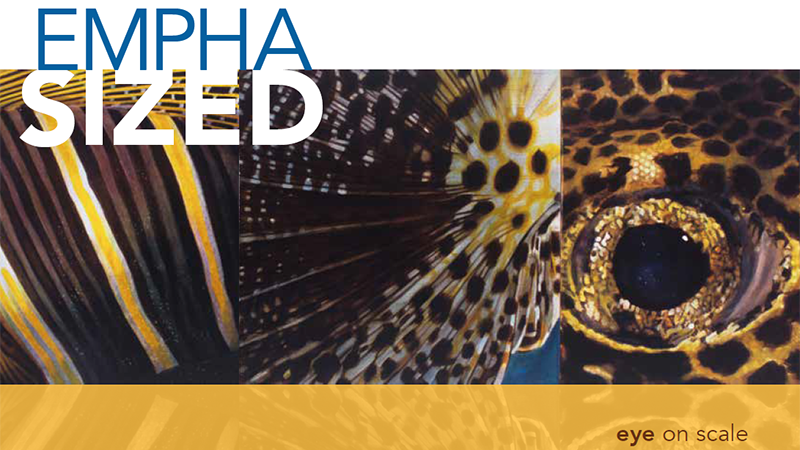 Exhibit dates: February 14 – June 14, 2019. 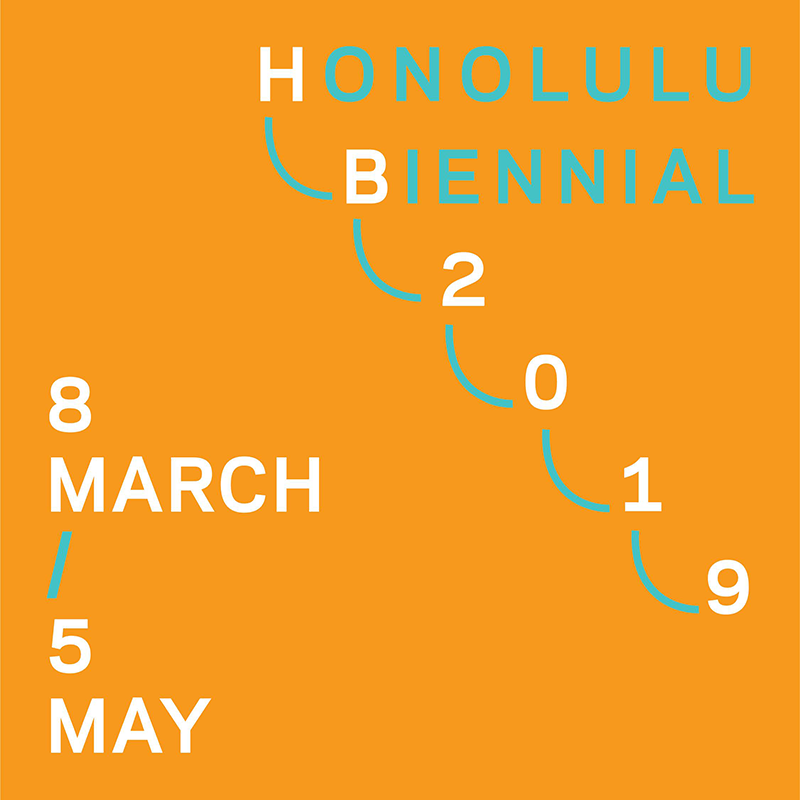 OʻAHU - New Ways of Living: Duncan Dempster, Honolulu Museum of Art at First Hawaiian Center, Honolulu. OʻAHU - From the Forest: Hawai‘i Wood Artists. 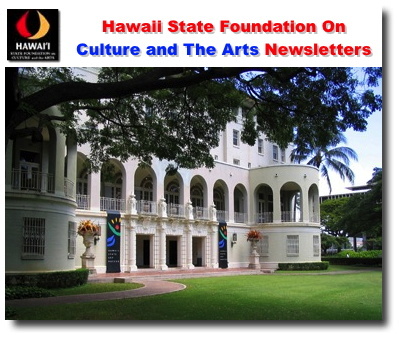 Honolulu Museum of Art at First Hawaiian Center, Honolulu. 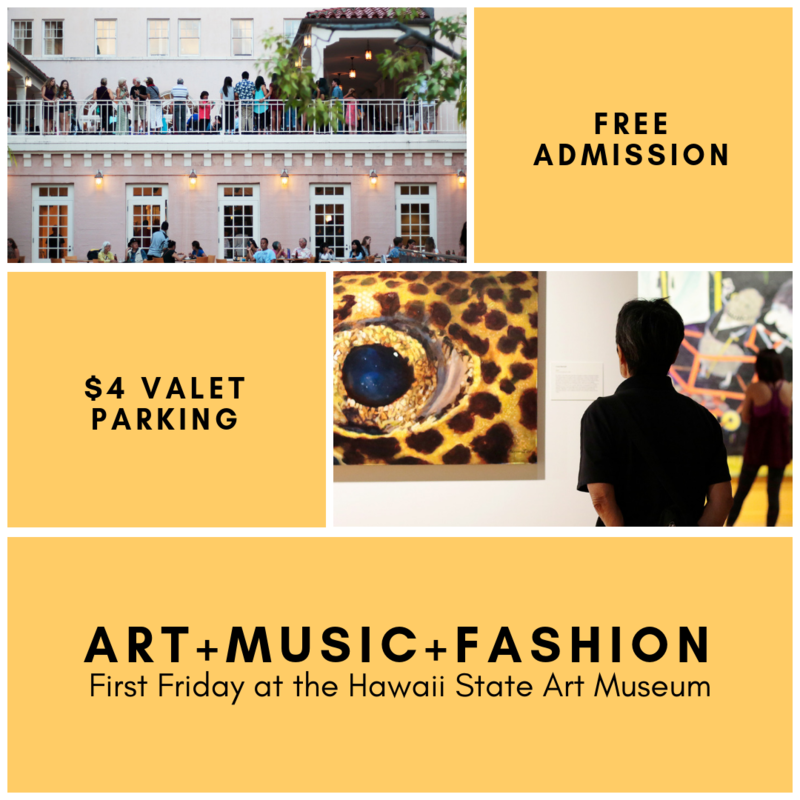 Friday 3/01 First Friday Art + Music + Fashion with performances by Hawaiʻi Youth Symphony students, Project X (a fashion, art, and music collaboration) by RYP Designs x Satoru Abe x Tim Rose, screenprinting demonstration by April Sham, live painting by Deb Haugen, and more! 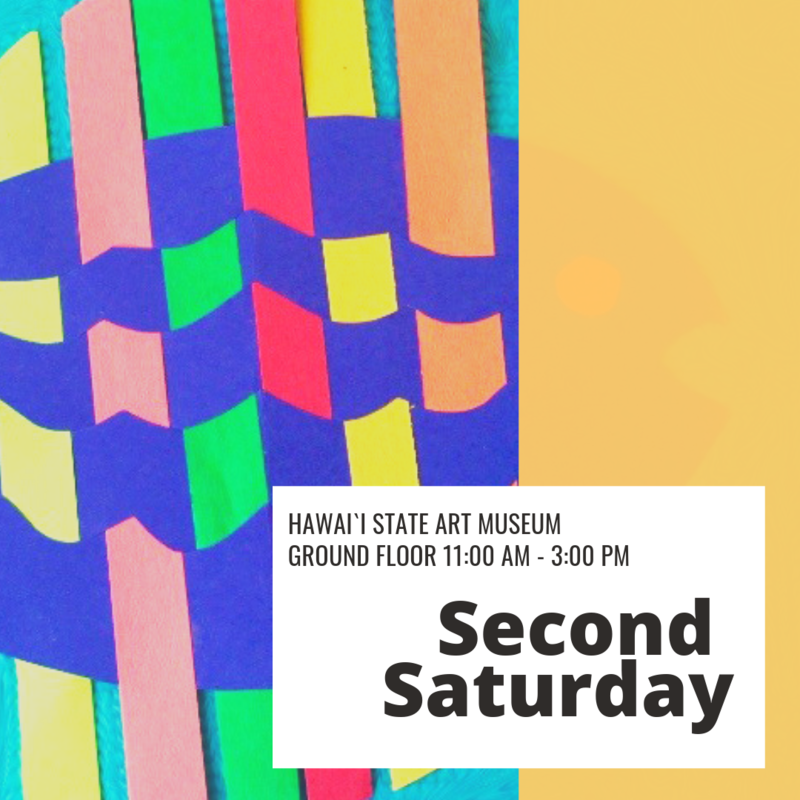 Saturday 3/09 Second Saturday paper weaving with the Hawaiʻi Handweavers' Hui, drop in any time between 11:00 a.m. - 3:00 p.m.
Wednesday 3/20 SFCA Committee and General Board Meetings. 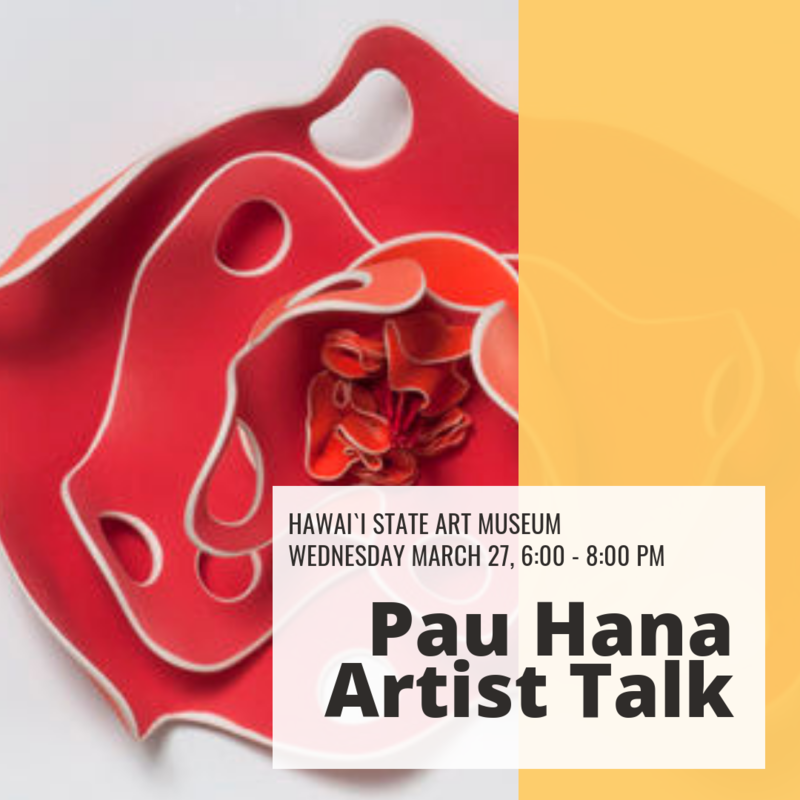 Committee meetings typically start at 9:00 a.m. and general meetings typically start at 11:00 a.m.
Wednesday 3/20 Pau Hana Artist Talk (presenters to be announced), 6:00 - 8:00 p.m.
Wednesday 3/27 Pau Hana Artist Talk Jamie Allen & Licia McDonald, 6:00 - 8:00 p.m.
Have you attended a recent First Friday at the Hawaii State Art Museum? We would appreciate your feedback! Please click the button below to take a short survey to help us improve our marketing and outreach for upcoming First Fridays. 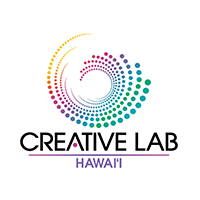 4/03 Pau Hana Artist Talk with local filmmaker Chris Yogi, 6:00 - 8:00 p.m.
4/05 First Friday Project X (Art + Music + Fashion collaborations) to be announced. Slow Art Day tour with museum guide and artist Emily McIlroy, 6:00 - 6:45 p.m. Weaving demonstration by Gaye Chan at the HiSAM Museum Gallery Shop x MORI. The shop will also be hosting an opening reception for a new shop display of glass art for sale by University of Hawaiʻi-Mānoa glass department and visiting Japanese glass artists. 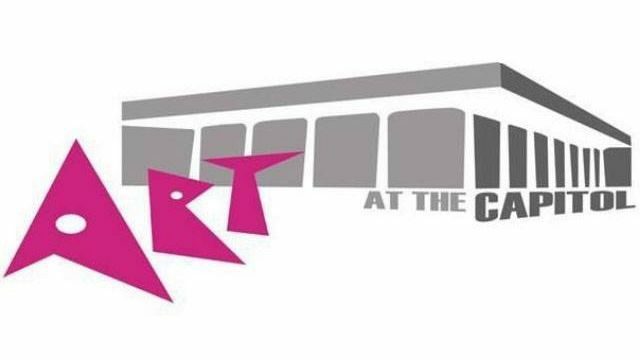 The Hawaii State Legislature's annual Art at the Capitol event will be taking place at the Hawaiʻi State Capitol, 5:00 - 7:00 p.m.
4/06 Slow Art Day tour with museum guide and artist Emily McIlroy, 1:00 - 1:45 p.m.
4/13 Second Saturday activity to be announced. 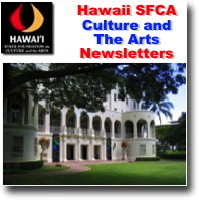 11:00 a.m. - 3:00 p.m.
4/24 Pau Hana Artist Talk, presenters to be announced. 6:00 - 8:00 p.m.
4/30 Art Lunch presentation by glass artist Jonathan Swanz, 12:00 - 1:00 p.m.
5/03 2019 Young Artists of Hawaiʻi exhibit opens. 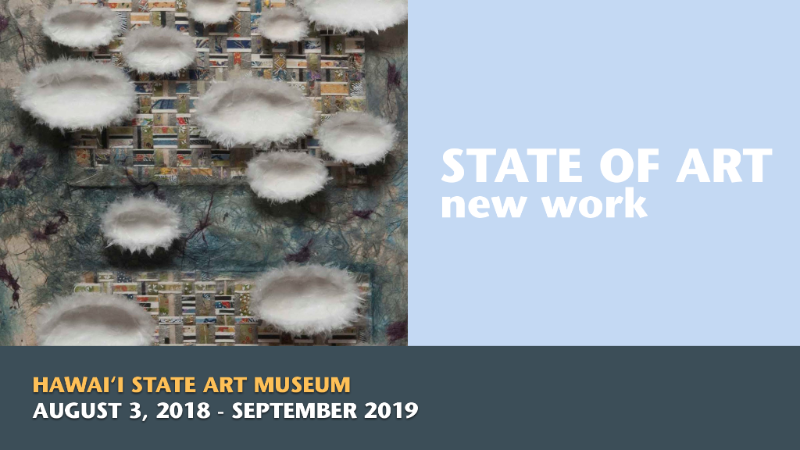 On view through June 28, 2019. 5/03 First Friday Project X (Art + Music + Fashion collaborations) to be announced. 5/11 Second Saturday activity to be announced. 11:00 a.m. - 3:00 p.m.
5/22 SFCA Committee and General Board meetings. 5/27 Closed for Memorial Day. 5/28: Art Lunch presentation by Meleanna Meyer, 12:00 - 1:00 p.m.
6/07 First Friday Project X (Art + Music + Fashion collaborations) to be announced. 6/08 Second Saturday activity to be announced. 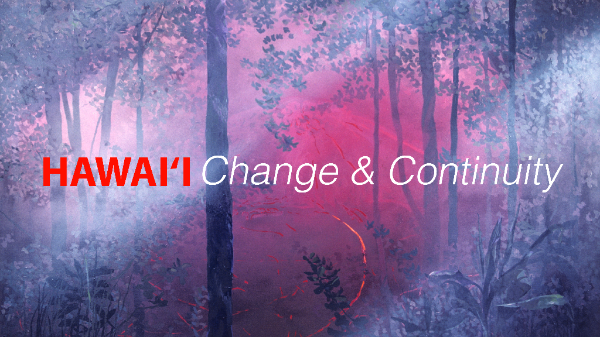 11:00 a.m. - 3:00 p.m.
6/25 Art Lunch presenter Mitchell Auliʻi, hula kiʻi, 12:00 - 1:00 p.m.
6/28 Last day to view "HAWAIʻI: Change & Continuity" and "2019 Young Artists of Hawaiʻi" exhibits.